Just flown back from a quick tour in Morocco and setting up the XSR for departure in a couple of days. It was handy pre-running my routes last week; despite recent heavy rains which has seen some places re-mudding their adobe roofs, all my tracks with the exception of Jebel Sarhro were in pretty good nick, including MH19 Trans Atlas which we managed to cram in on the last day. Getting back on my XSR after riding XR250s with 70,000kms on the clock, the Yamaha feels amazingly taut. On the weekend I nipped down to Surrey to buy an XR400 for Algeria (more about that later). 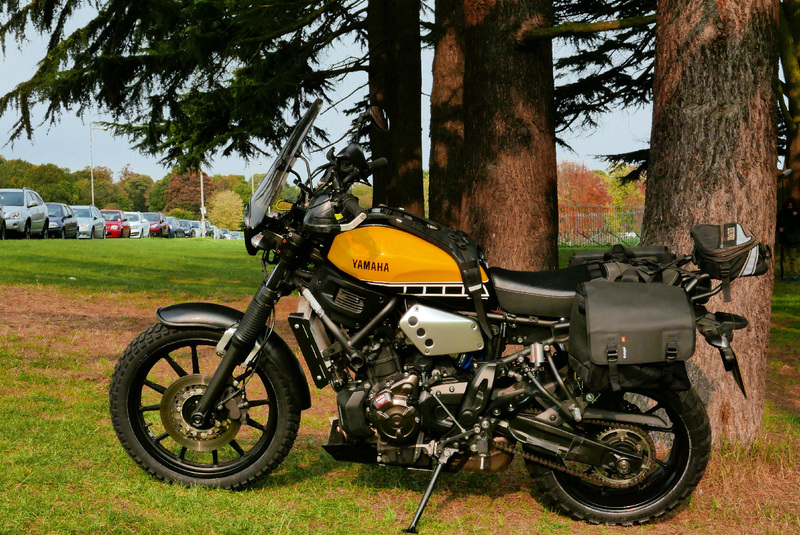 All that needed doing to the XScrambleR was fitting an elongated and bigfooted sidestand adapted from an MT-07 stick (£20 used on ebay + £25 labour). A seamless job by my weldy mate, Jon. That took 10 minutes and a wall to lean on. 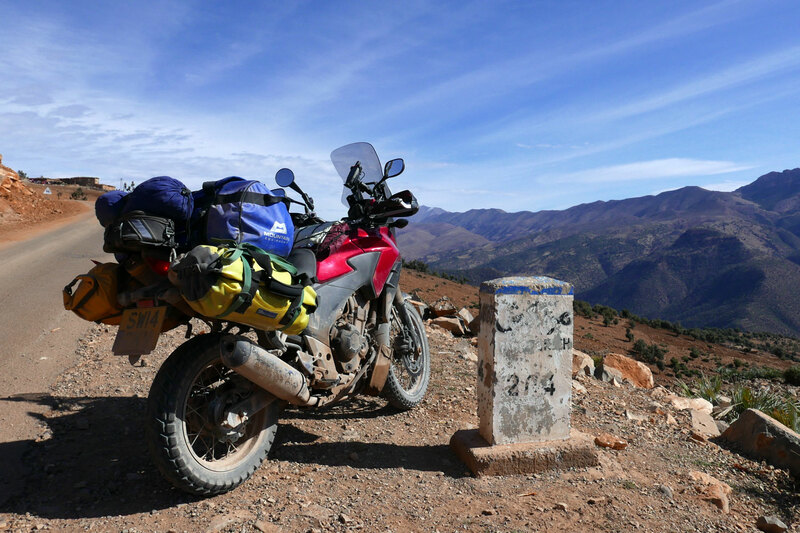 Next, see how the Kriega Duo 36 Saddlebags fit over the back. 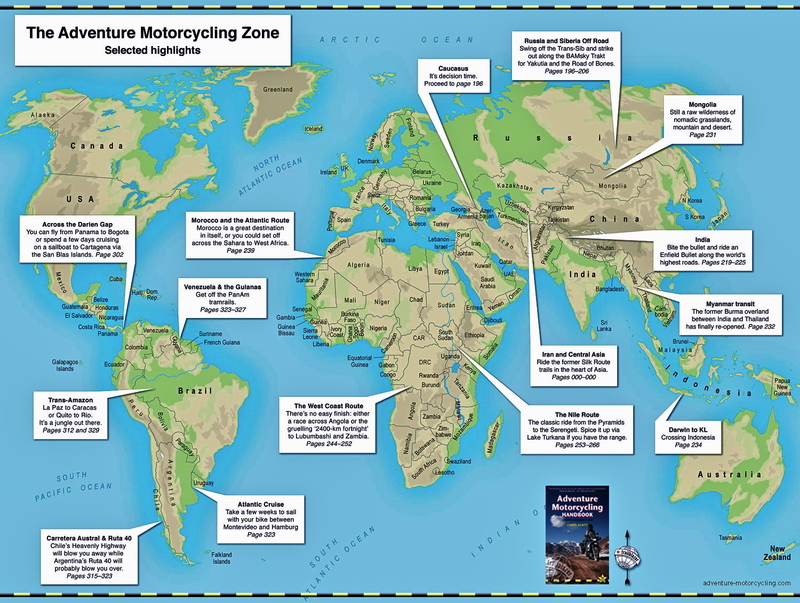 My pillion-to-rack spars are better than nothing but aren’t brilliant at limiting swing into the wheel; they’re too high and forward. 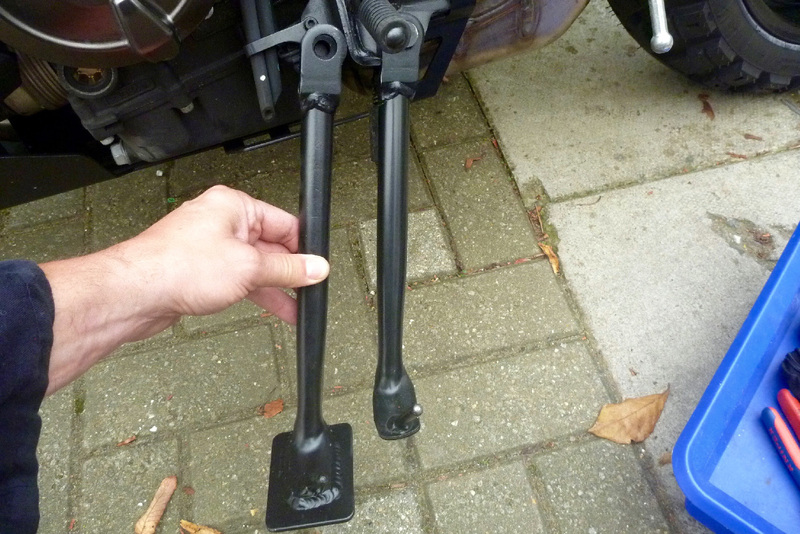 A proper rack is best, but a bit of stick and zip tie from pillion-to-indicator may do the job. And so here it is, another AMH projectile ready for three laps of Morocco and a dash home. Looking forward to it, just as long as it handles OK on the dirt. I’m pretty sure it won’t be much worse than the heavier CB500X Rally Raider from 2015 (right). 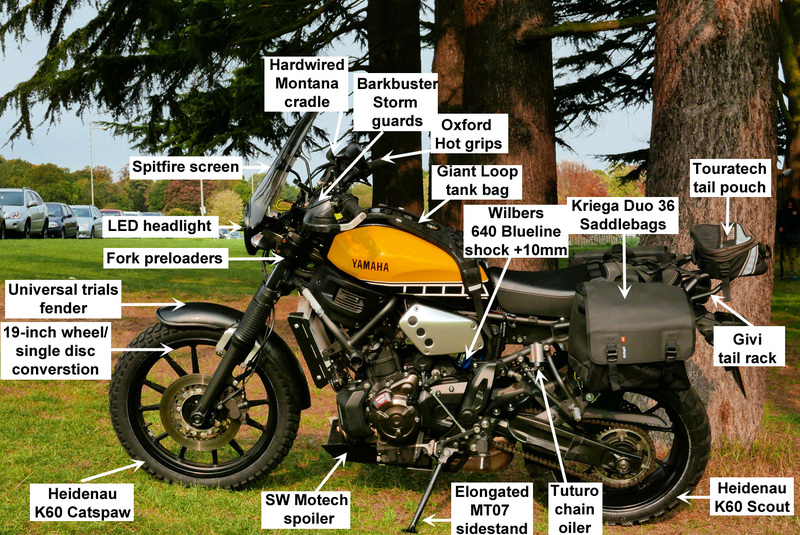 This entry was posted in AMH News, Luggage, Project Bikes, Project XScrambleR 700 and tagged Morocco, xsr scrambler, xsr700. Bookmark the permalink.